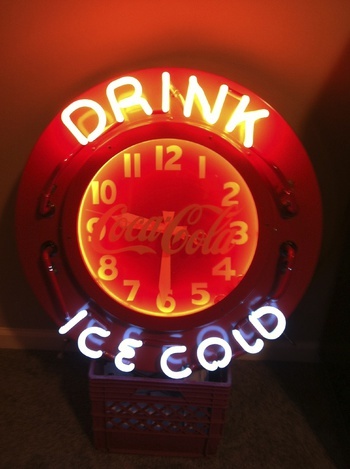 In Coca-Cola > Coke Clocks > Show & Tell and Clocks > Advertising Clocks > Show & Tell. We have had this clock for 30 years, and it was old when we got it. It's definitely rare. It appears to be one of a kind, and we love it ! 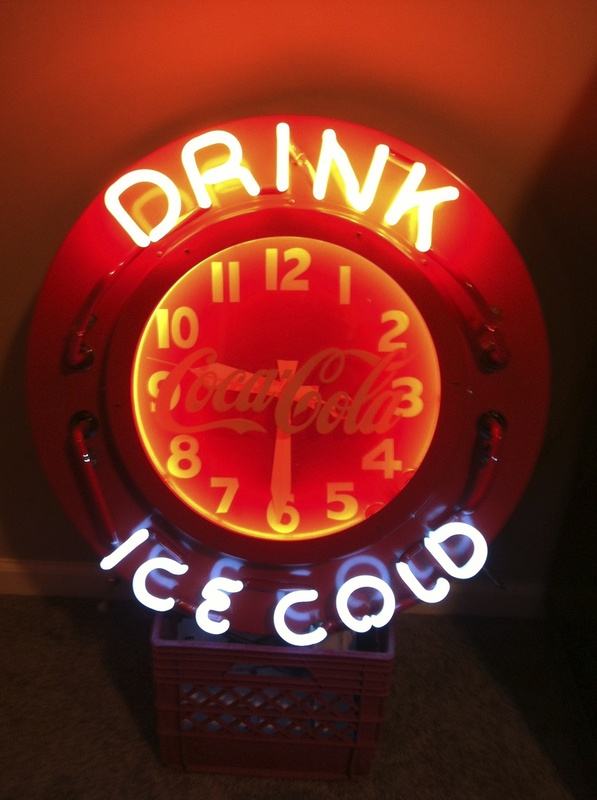 27" in diameter, and the Coca Cola is etched into the back side of the glass on the face. 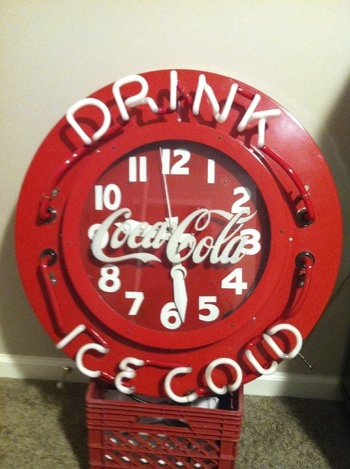 Great Clock,would love to own it myself, but it was definitely not produced for Coca-Cola. wasn't even the original neon for this clock, you wouldn't waste that much tubing on a production item, only on a single clock. Nicely done though, again, shame the logo doesn't catch any light when lit. Thanks for your comment. The logo doesnt disappear when lit, though. It only appears that way in photos. We agree it is a one of a kind, and certainly not a production item. The response from the Coca Cola museum is that it was likely a custom built for an event or a prototype that was never produced. The clock is 27" and that seems to be an unusual measurement. Does anyone know of another 27"clock with same tubing hole locations? We would love to see pics of one ! Again, thanks for your comments !